Located at 300 N. Lantana Street (cross street Daily) in Camarillo, +EV Games is a Magic the Gathering and other Trading Card Games Tournament Center. With space for over 60 people +EV Games has one of the best places in the state to play Magic, your favorite board game or other TCG. 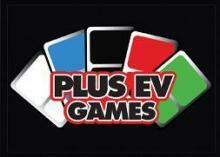 More information at www.plusevgames.com or call 805.389.7428.